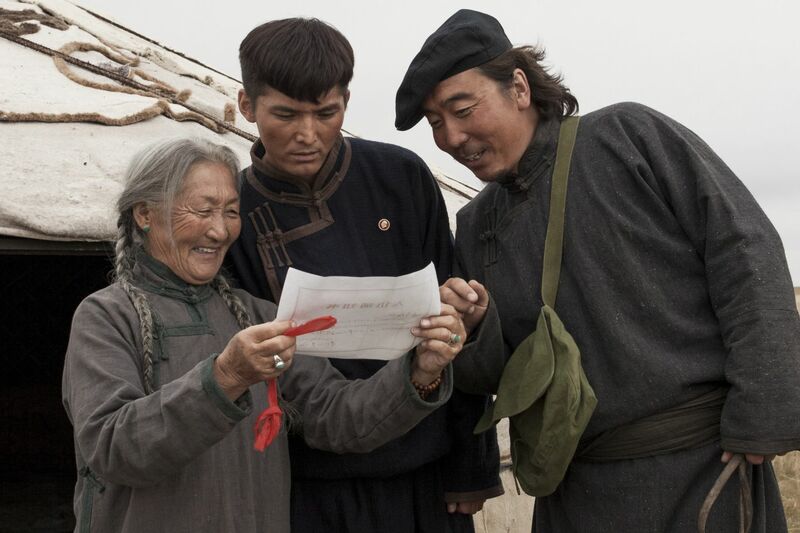 Set in 1960’s, Mother’s Airfield tells the story of a Mongolian shepherdess known locally as Eji (Mother). 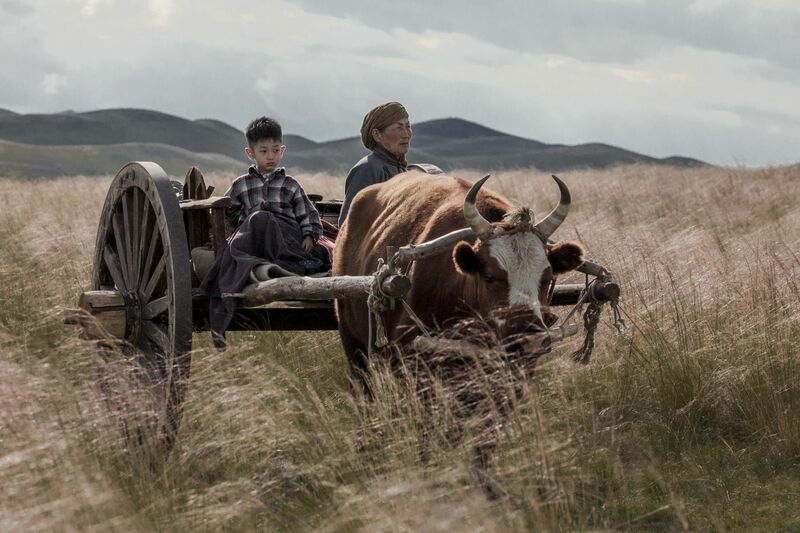 Beset by ill health and advancing years, Eji eeks out a meagre living on the grasslands of Inner Mongolia, but her trials increase when she loses her only son and is left alone in the world. On the day of her son’s funeral, however, a runaway boy from a local orphanage turns up. He had previously been relocated from Shanghai due to famine, but has run away from the orphanage intent on returnin­g to Shanghai to be with his parents. The kind-hearted Eji takes the boy in, and thanks to her loving care over many years, Maonaohai grows into a healthy and strong young man. Eventually, with few prospects on the grasslands, he is persuaded to join the air force and Eji once more is left alone. One day a drunken neighbor spins a yarn that makes Eji believe Maonaohai will soon visit her by flying his plane and landing it on the land outside her isolated yurt. 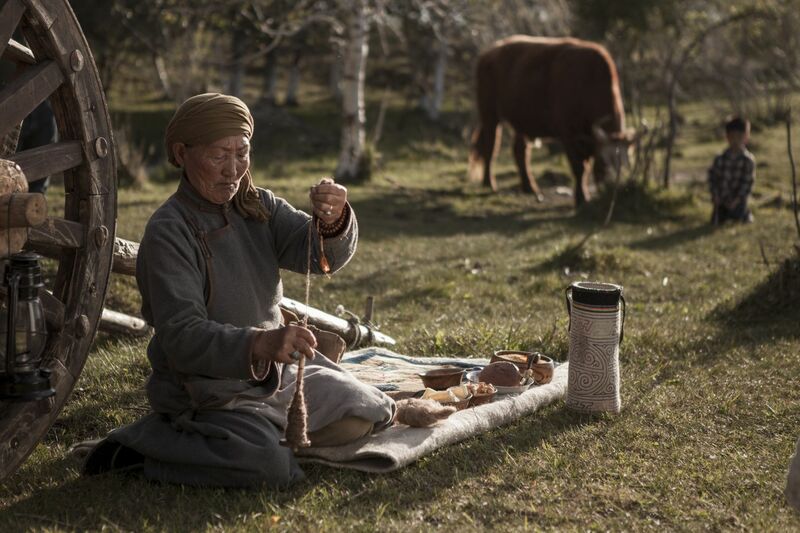 The simple-hearted Eji, yearning to see her adopted son again, believes the story and sets about preparing the land for her son’s return, removing heavy stones and leveling the ground to make it suitable for landing a plane. The neighbor, now sober and berated by his wife for causing such trouble, intends to tell the frail Eji that the story was untrue, but when he and other locals see how much hope that Eji, with rapidly failing health, has invested in the idea of her son’s return, they cannot bear to crush her hope and instead collude in the well-meaning lie by helping her build a functioning runway.